From free intro webinars to our dedicated support centre and online courses, WorkflowMax has a lot of great support content to help users at all stages of their journey. But sometimes – especially for a new user – it may not be obvious where to go to find that information or why you need to take a certain step within the app. That’s where Appcues comes in. Appcues is a user onboarding tool that can provide new users with relevant, usable information just when they need it. Content can be tailored to the user's needs based on which screens they have visited, the current screen they are viewing, or even specific user features such as their industry or country. One of our primary goals of using Appcues is to provide helpful tips and relevant information within the WorkflowMax app itself, exactly when the user is engaging with the product. When you start using WorkflowMax for the first time, it’s not obvious where to begin - what you can do - what you can’t do - or what needs to be set up. Also, because it’s a job management system, the temptation is to skip ahead, and perhaps just start creating jobs. But without understanding some of the dependencies in the product, you might just click the “New job” button. You’ll start to create the job - select the client, give the job a name, select a job template - hold on - what’s a job template? No idea, so you just skip it, and when you finish creating the job, it has no tasks because you haven’t set any up. So you clearly need more information! You might have to explore further, or start over, to work out what you’ve missed, in a potentially frustrating cycle. This is where Appcues can help, by telling you just enough to get you underway smoothly - without those false starts. It can show you that there is a straightforward and logical process to setting up things so you can create a job that is meaningful. The first phase of our Appcues development is focused on new trialists, surfacing relevant content at an appropriate time in their free trial. 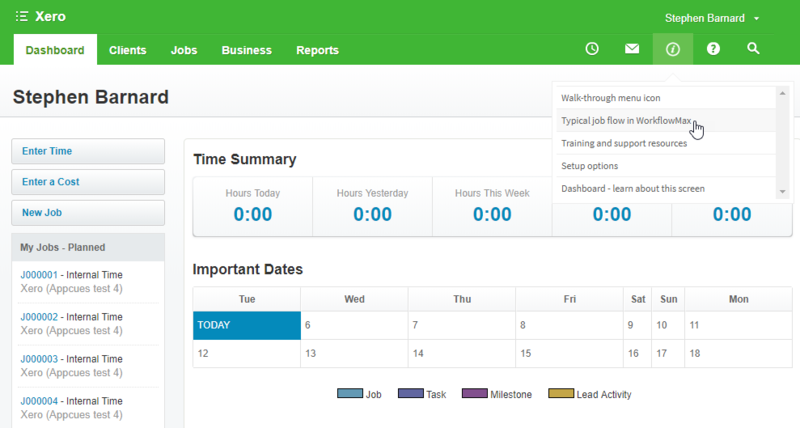 It all starts when you first log into WorkflowMax and you are presented with a series of actionable tool tips. Just the right information at just the right time - this first step is critical in getting set up right for your free trial. 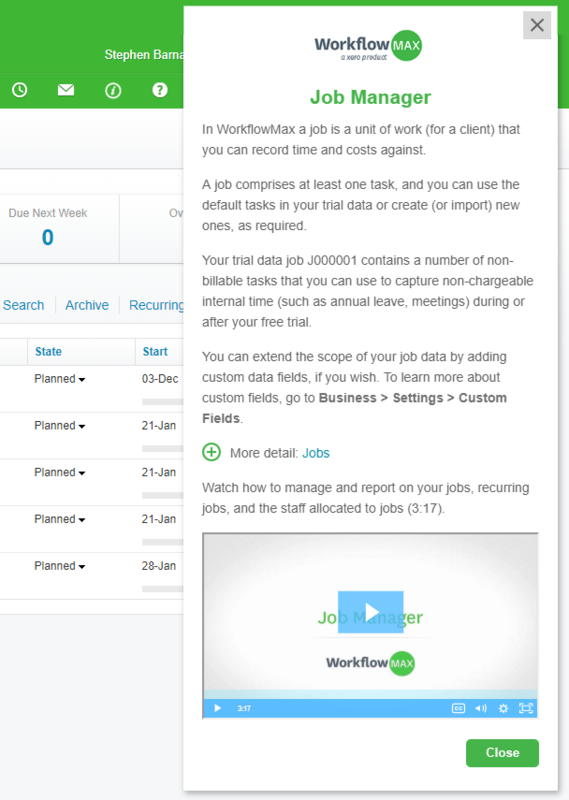 Then we enter the dashboard screen, where we’ll show you an overview video explaining the job workflow, what we call things - jobs, tasks, costs - and what the implications are when you use them in managing your work. We know that everyone learns differently, and a lot of people like to dive in and experiment. Others prefer to watch videos and get a broad understanding of the app before they do anything in the product at all. That’s why we’ve designed our Appcues experience to be optional – it will pop up in the first instance, but at any point, the user can close it and come back to it when they need. The second phase of the Appcues development will feature what we’re calling “Guided Tours”. 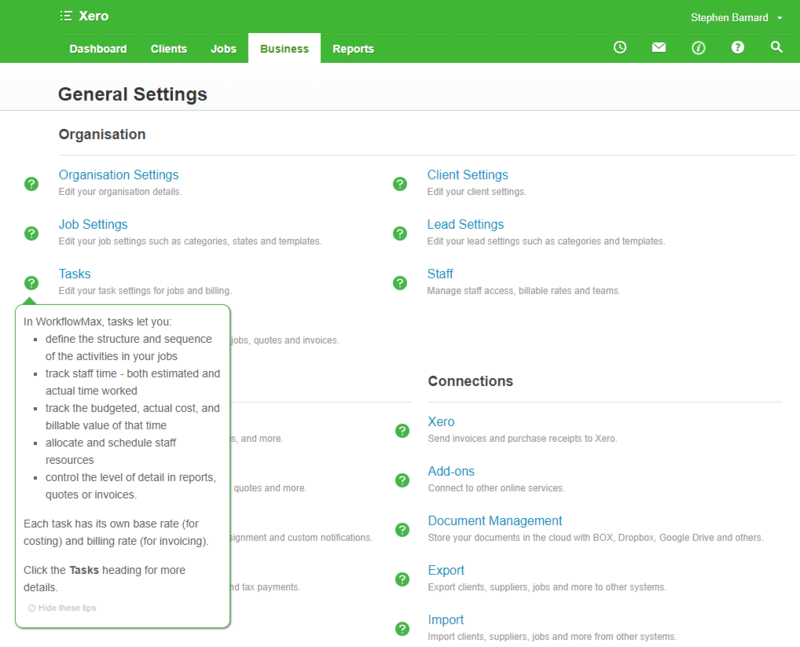 These tours will aim to let the user work with the “key features” of WorkflowMax - actually creating a quote, or a task or a job template to get a feel for how the product really works - in detail. 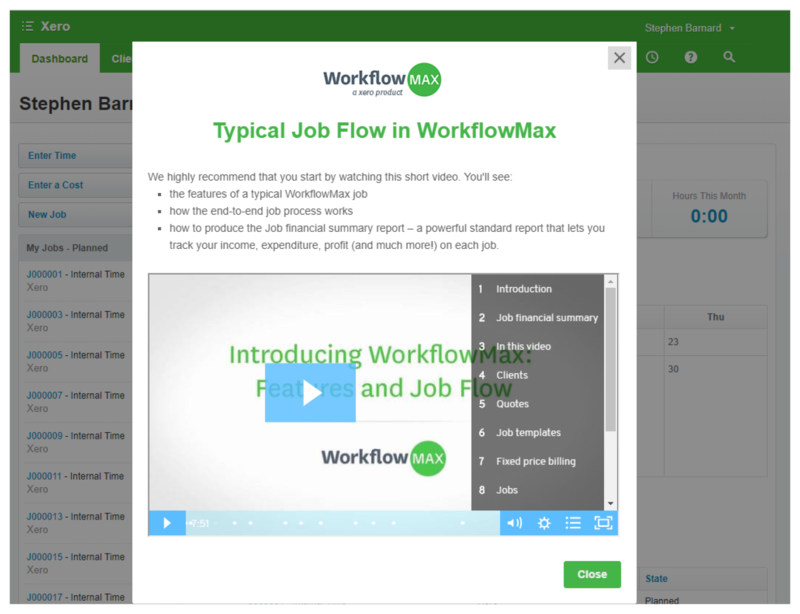 Some aspects of setting up WorkflowMax will also be covered, but the tours will make extensive use of the trial data that has been loaded into your account. This saves you time and effort, so you don’t need to start everything from scratch and you can rely on some of the default settings..
We’re using different presentation options in Appcues to surface content – for example modal screens which pop up at various points, or tool tips which we’ll be using for the guided tour. The great thing about the tool tips is that they’re user driven - if it says, click this button, you actually have to click the button. That way there’s a huge potential for showing really valuable stuff. As always we welcome your feedback, so comment below.